Coronado Tower's condo vacation rentals offer a great base from which you can enjoy New Smyrna Beach. As listed under the amenities, we have a large heated pool with plenty of chairs available. The beach is just a few steps down from the pool deck. Boogie boards are fun for all ages. You can rent boogie boards from beach stands or purchase one around town. They are very easy to use. Just lay down and let a wave push you to shore. There are several surf schools and surf shops in town if you're up to the challenge. 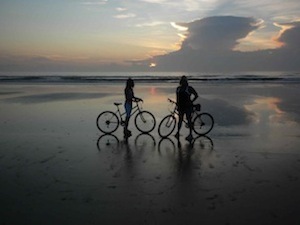 Walk or bike the 17 miles of beaches. The inlet is a beautiful spot on the north end of the beach. You can see the lighthouse on the Daytona side of the inlet. The north/west side of the jetty (large line of rocks) is part of a park left in it's natural state giving unparallel views. Swimming here is not recommended with the fishermen, current, and rocks. It is one of the better surfing spots on the east coast but not for those new to the area. Fish in the surf or from the jetty at the inlet. Stroll the shops along Flagler Avenue (see the slideshow on the local info page) or the shops on Canal Street. Take a drive along Riverside Drive on the main land side and see some of the old restored houses set along the river. For more excitement, try these. Go fishing with Captain Karty in Mosquito Lagoon just south of New Smyrna. Paddle through scenic Canaveral National Seashore Park lagoon with East Coast Paddle Board and see pristine FL. There were dolphin and manatees the day we did the tour. East Coast Paddle offers rentals and tours. Nichols Surf Shop offers rentals on various beach toys such as surf boards, bikes, and kayaks. Lessons are also available. Visit Kennedy Space Center just south of New Smyrna. You can watch a rocket launch right from our beach. Launches take place from either Kennedy Space Center or from Cape Canaveral Air Force Station which are adjacent to each other. Kennedy launches commercial rockets. The Air Force launches military rockets - some launches are not advertised due to security. Click here for a launch schedule. All launches are weather dependent. 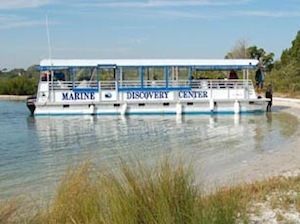 The Marine Discovery Center in town offers tours of the Indian River Lagoon. You can either take a boat ride or paddle your own kayak after the guide. Watch a race at Daytona International Speedway or at New Smyrna Speedway just west of town. Go bird watching. There are over 400 species of birds in the area. Canaveral National Seashore, just south of NSB, is a protected bird sanctuary. The Arts abound in NSB. There are several galleries around town including Arts on Douglas. Images Art Festival is held in February. There are several golf courses in the area. The New Smyrna public golf course (386.424.2190) is a Donald Ross course from late 30's/early 40's. Other courses in the area include Hidden Lakes (386.427.4138), Sugar Mill (386.426.5200 x24), and Venetian Bay (386.424.5775). 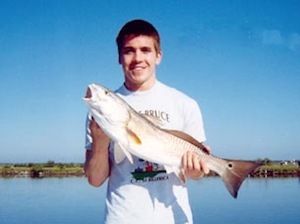 Just north, in Port Orange are Crane Lakes (36.767.4653) and Cypress Head (386-756-5449).